The growth in the number of 55 plus communities in the Tampa, Florida, area shouldn’t come as much of a surprise. That’s because entering one’s golden years no longer necessarily entails slowing down. Rather, for an ever-growing number of older adults, it means devoting energy to the things they had little or no time for when they were working hard to earn a living. 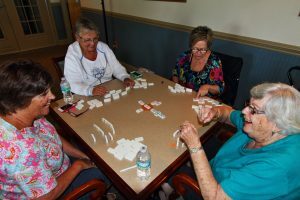 The idea behind 55+ communities is that many older adults want to live in an affordable setting that is geared toward them specifically – one that has lots of great amenities and plenty of fun activities to participate in throughout the week. At StrawBerry Ridge – one of the premier 55 plus communities in the Tampa, FL, area – we have long made it possible for older adults to lead the fun-filled Florida lifestyle in a highly affordable gated community located just outside one of the Sunshine State’s most vibrant metropolitan areas. Residents of StrawBerry Ridge in Valrico enjoy comfortable manufactured homes (many recently renovated), a wealth of resort-style amenities, and professional day-to-day management provided by Blair Group, an award-winning 55+ community developer. Those who call StrawBerry Ridge home know it to be a warm, welcoming place where they can stretch their savings and enjoy this period of their lives to the fullest. For more information about StrawBerry Ridge and how it compares to other 55 plus communities in the Tampa, FL, area, contact our Lifestyle Team today. We also invite you to click on the “Our Homes” link above to view a current listing of the affordably priced manufactured homes that are for sale at StrawBerry Ridge.